As if 15 variations weren’t already enough, Porsche is rolling out yet another permutation of its venerable 911 sports car called the Carrera GTS. These new GTS models – there are four in all – slot between the 911 Carrera S and the track-oriented 911 GT3 and bring the total number of 911 variants to 19. 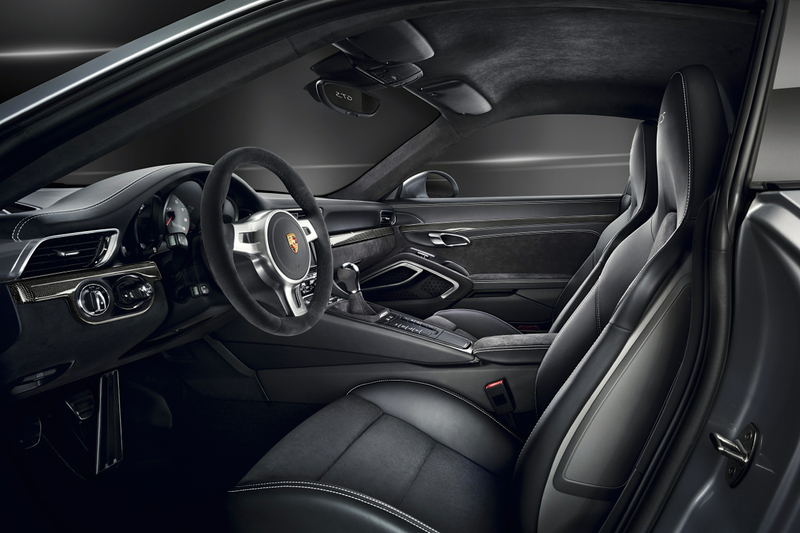 With Porsche‘s decision to reduce the wait time between the release of its coveted 911 variants — the past 911 model (internally referred to as the 997 and spanning from 2004 – 2013) took almost a decade to realize all versions including the 911 Carrera, 911 Turbo, 911 GT3 and Cabriolet equivalents – the German automotive manufacturer heads to the city of Berlin to give us a look at how this track-proven sports car performs on the streets. 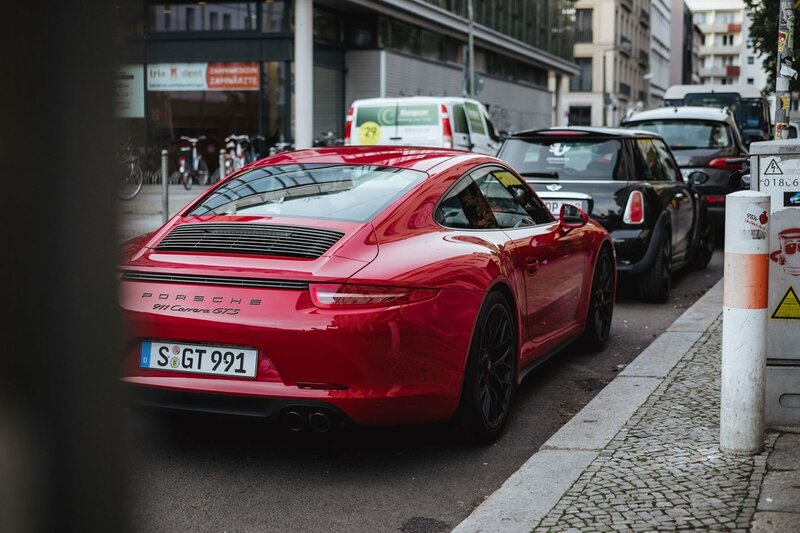 Positioned between the 911 Carrera S and GT3 model, the new 2015 Porsche 911 (991) Carrera GTS boasts a rear that is 44 mm wider than the Carrera S and sits up to 20 mm lower on a stiffer Active Suspension Management system (PASM). It includes increased stopping power via its six-piston calipers at the front and four-piston calipers at the rear. Drenched in Carmine red paint, the sleek body is contrasted by large 20-inch satin-black Turbo S wheels and matte-black air intake grilles. Powered by a 3.8-liter boxer engine, the car puts our 430 horsepower and is matched with a 7-speed manual gearbox. Directing all the exhuast from the rear-engine layout are black chrome twin tailpipes that produce distinct acoustics depending on the style of driving.